We have created a guide to help you better understand the information on our product labels. 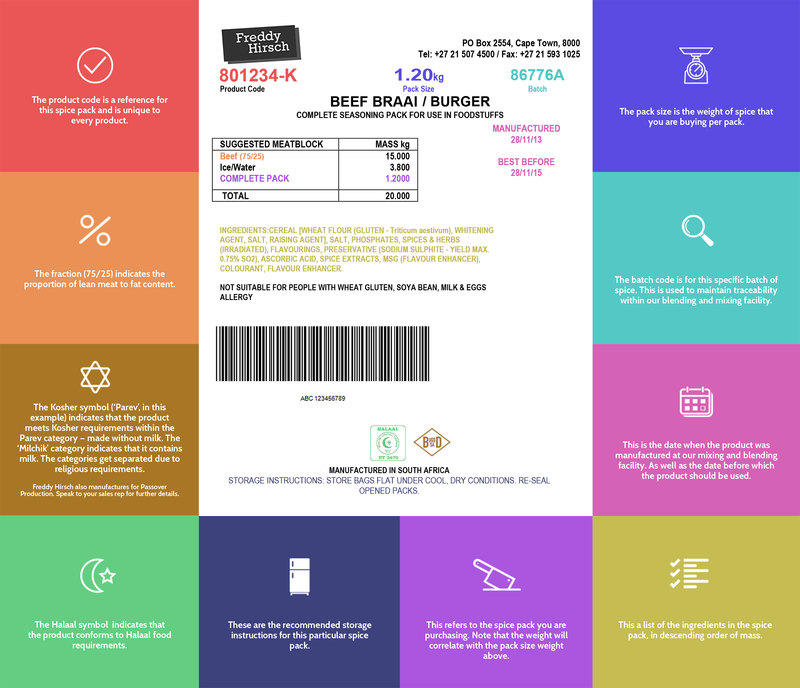 Items within the label have been highlighted with colours — match these colours to the related blocks of information surrounding the label. Click here to enlarge graphic.